When my 7 or 8 year old daughter I began to notice her natural talent for music and when I played American music on the disco, I was surprised to hear her singing fragments of the song The Way We Were sung by Barbra Straisand and I took advantage of my knowledge of English language to sing it in unison with my daughter. With its high-pitched voice it reached records that I could not reach "Memories like a calling of my mind ..." until the whole song was learned. But she was shy to sing it in public in the Church. She does not know the meaning of the lyrics but the children, if they are taught early, sing any language if they are taught well. We also made a duet with the song of Nat King Cole and his daughter Natilla Cole "Unforgetable" in which we fit together perfectly, until something happened. In the corner they opened a pizzeria in the corridor of a house and put techno-cumbias of the Texo-Mexican singer SELENA and that's where my daughter's fascination with American music ended. I had to get her a Walk Man with a Selena cassette and with it's headphones on she rolled over in bed with her eyes closed as if she were dreaming but she did not sing those melodies, she just liked to listen to that girl in a new rhythm that had just entered in Cuba. To the point it was her obsession with Selena that I had to take her to the América movie theater - the largest in the city of Guantánamo - that by then had no movie pieces to project on the big screen and for a small fee they placed an old television in colors where They passed documentaries and movies. Among these, the life and murder of that Texas singer, who at the pinnacle of her glory was shot in the shoulder of her by her assistant Yolanda Zaldívar at the young age of 23 years. 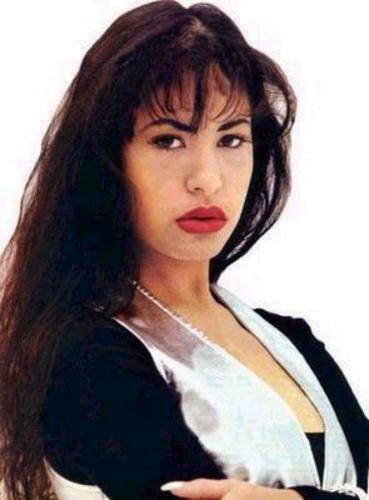 My daughter cried when a dramatic performance of Selena in the Hotel lobby dies. Still had not filmed the life of the singer, steralizada by Jennifer Lopez, I do not know if my daughter saw it-I doubt it because I had taken refuge in Uruguay and saw the film here in 1997-. I do not think they have spent it in Cuba. That's how I left my daughter. In her first letters she mentioned the song of Barbra Straisand and Nat King Cole, but she did not talk about Selena anymore. Her talent for music she forgot in part because of me, among other reasons that I do not want to mention here, when I "stay" in Uruguay. Years later, being a beautiful young lady, she came to Uruguay to accompany me and to work. I was sad for a moment but life is like that. You can not be anchored to the past, now look forward and remove all traces of Caribbean and North American culture, but I do not see in her any enthusiasm for the music of the Rio de la Plata. Selena Quintanilla Pérez (Lake Jackson, April 16, 1971-Corpus Christi, March 31, 1995) was a n American singer of Mexican descent from Tex-Mex, ranchera, ballad, Latin pop and Mexican cumbia, as well as a businesswoman, model, actress and fashion designer. Yolanda Zaldivar was given a life sentence and she in the documentary murmured that between the singer and her there was a special connection that would lead to death as a great secret that only belonged to both of them. SECRETOS DE LA MUERTE DE FIDEL CASTRO. Segunda parte. Fragmento de la novela LOS DIOSES TAMBIEN RIEN. EL PAPA FRANCISCO BERGOLIO: EXCESO DE CONSUMISMO. FIDEL CASTRO: THE LAST CULT TO PERSONALITY. AMY WINEHOUSE: LA MUERTE DE LA FLOR DE ANÉMONA. SHORTS TRUE TALES FROM CUBA, GUANTANAMO, LA HABANA WHEN I WAS THERE AND I TRAVELLE AS A TORUTIST. FRAGMENTS OF NOVELS.